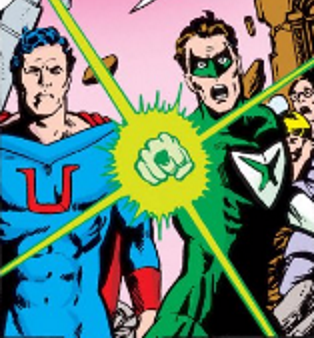 This was after Hal Jordan had kicked Guy out of the Green Lantern Corps, forcing him to find another power source. 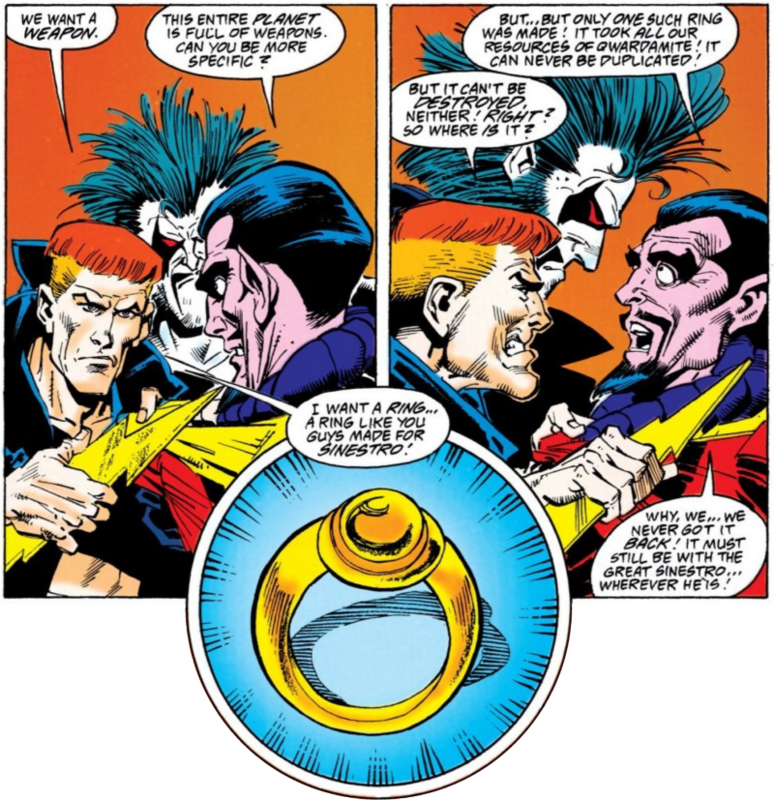 He’d gone to Qward, with Lobo in tow, looking to get a yellow power ring just like the one the Qwardians had made for Sinestro all those years before. 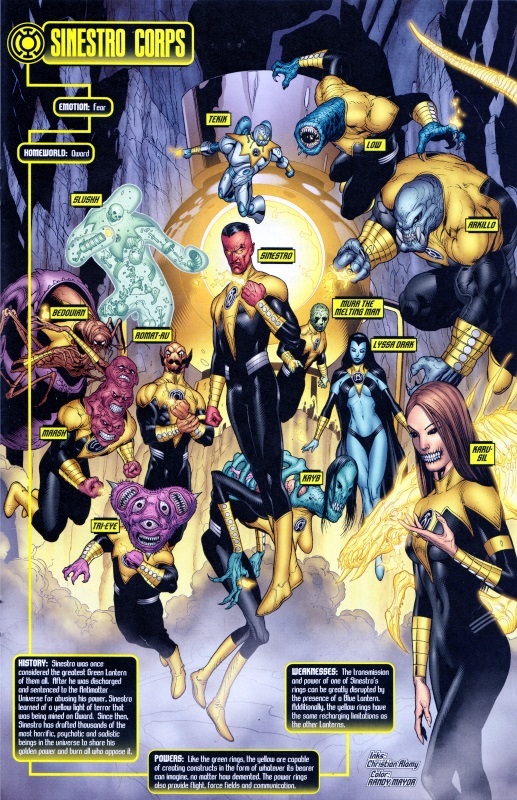 That’s right – Sinestro’s ring used up all the Qwardamite on the planet which means it can never be duplicated! Set far in the future, this issue is packed with clues about what’s around the corner for Hal Jordan and the rest of the Corps! 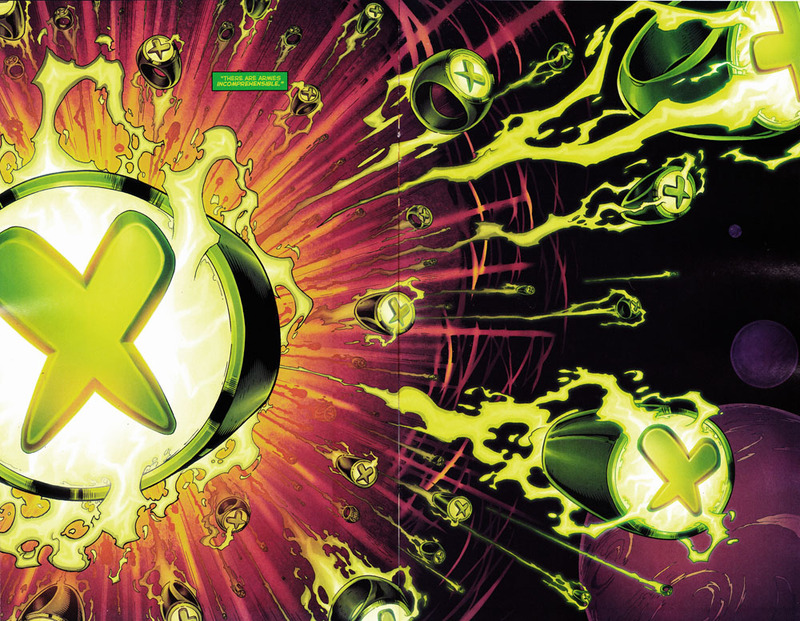 It’s definitely a pause and reflect issue after the somewhat full on tempo of the last twelve issues that detailed the return of the Corps, the defeat of Sinestro, and escape from both Brainiac and Larfleeze, and gives us a glimpse of what’s coming up. 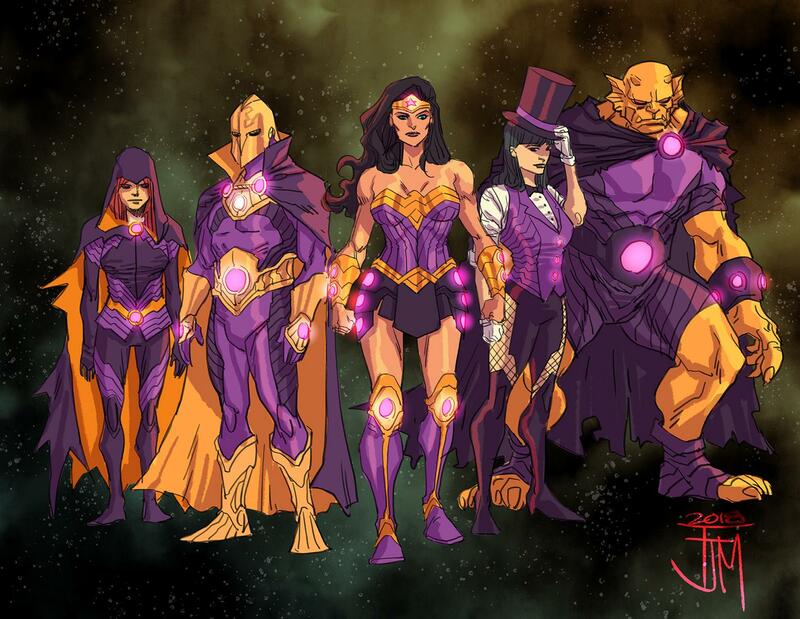 There are several things hinted at, including the return of the Sinestro Corps (possibly under the control of Romat-Ru), Evil Star and the Spider Guild, as well as what appear to be giant robots with very Kirby-like designs. 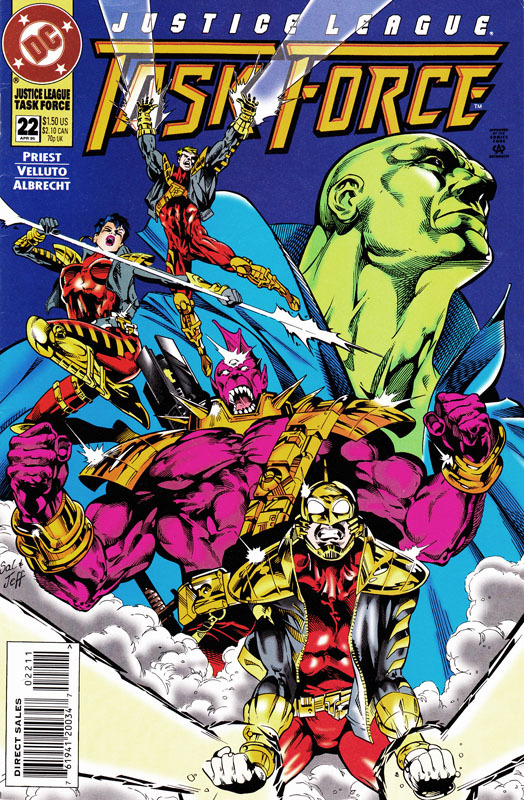 While there were a number of different Power Ring incarnations over the years (the original shown above, as well as both a Kyle-Rayner and a John Stewart analogue when the Crime Syndicate were from the Anti-Matter Earth as opposed to Earth-3) they were only ever shown as single characters, not part of a Corps. 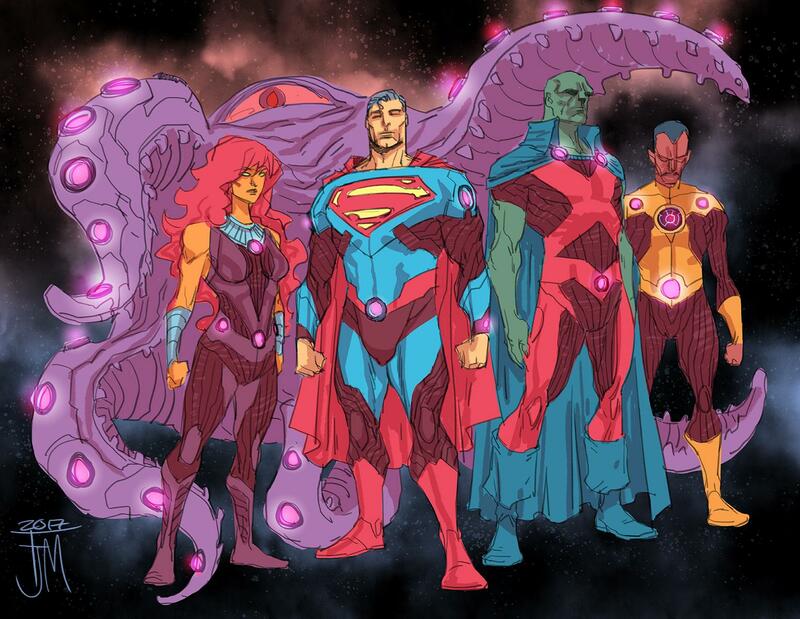 Will the Earth-3 universe be sending it’s evil Power Ring Corps over to ours? 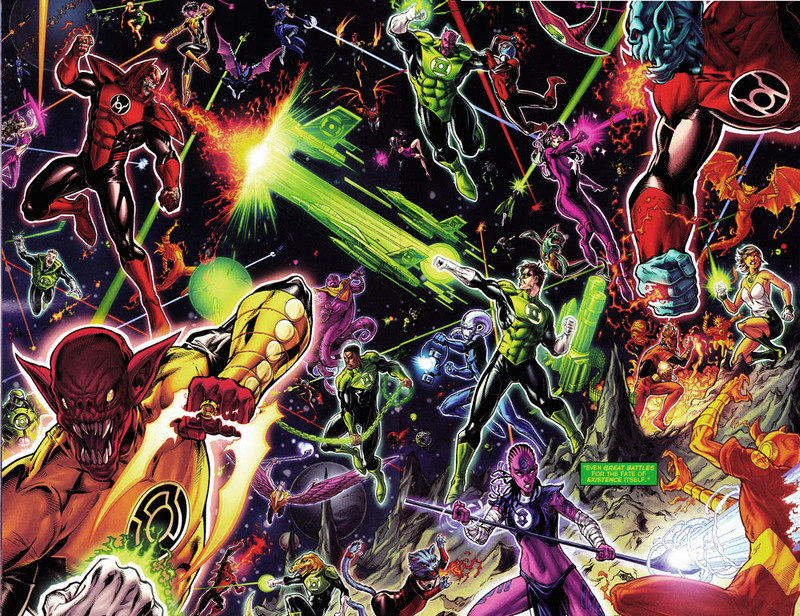 This “battle for the fate of existence itself” at first glance looks like a second War of Light with the Sinestro Corps and the Red Lanterns battling the other Corps. 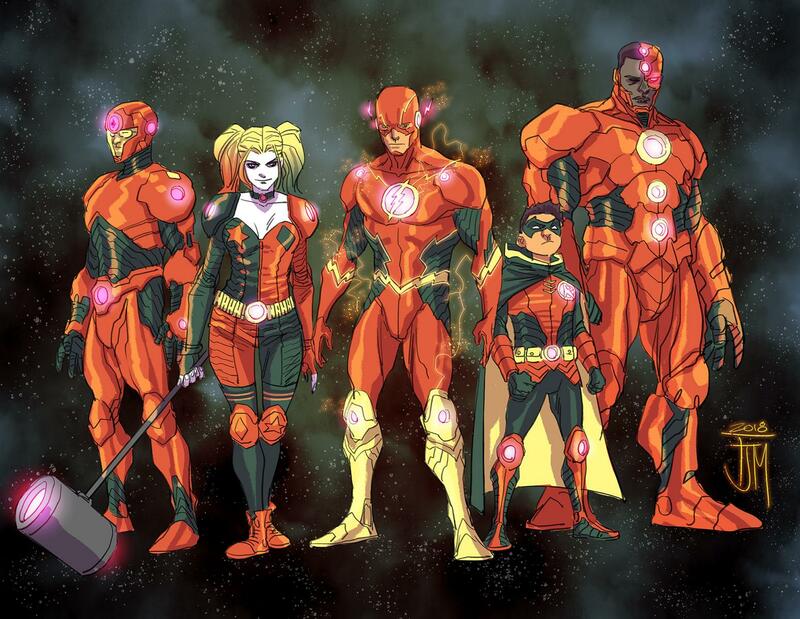 However, in the bottom right being blasted by Indigo-1 and in the middle left, just below Atrocitus’s left fist, are what appear to be Weaponers of Qward but which, on closer examination, are Orange Lantern constructs (note the Orange Lantern symbol on the shoulder of the one in the bottom right) – has Larfleeze taken over the Weaponers? 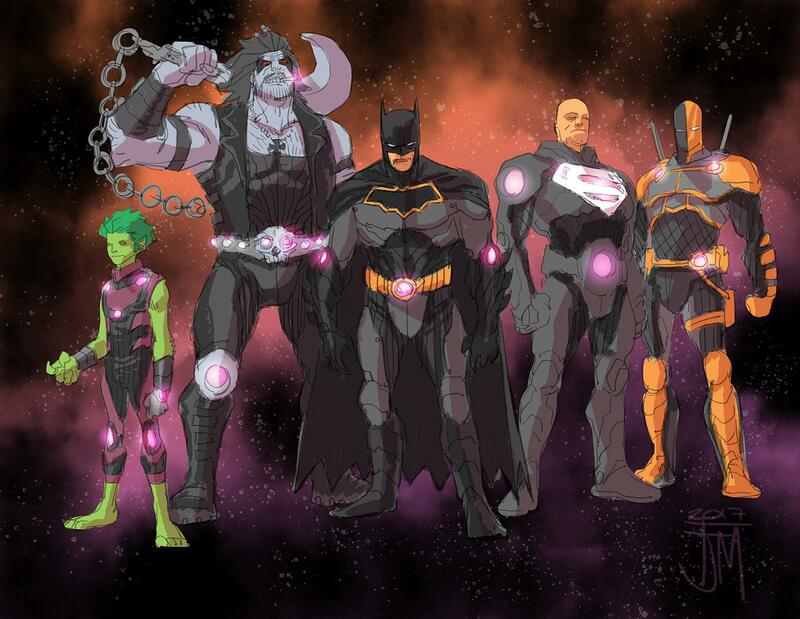 Either way, it’s looking like it’s going to be an exciting few months for the Green Lantern Corps. Posted on Sunday, January 29, 2017 Monday, October 15, 2018 by GaryPosted in UncategorizedTagged Power Ring, Sinestro.